Ships today if you order in the next 7 hours 32 minutes. 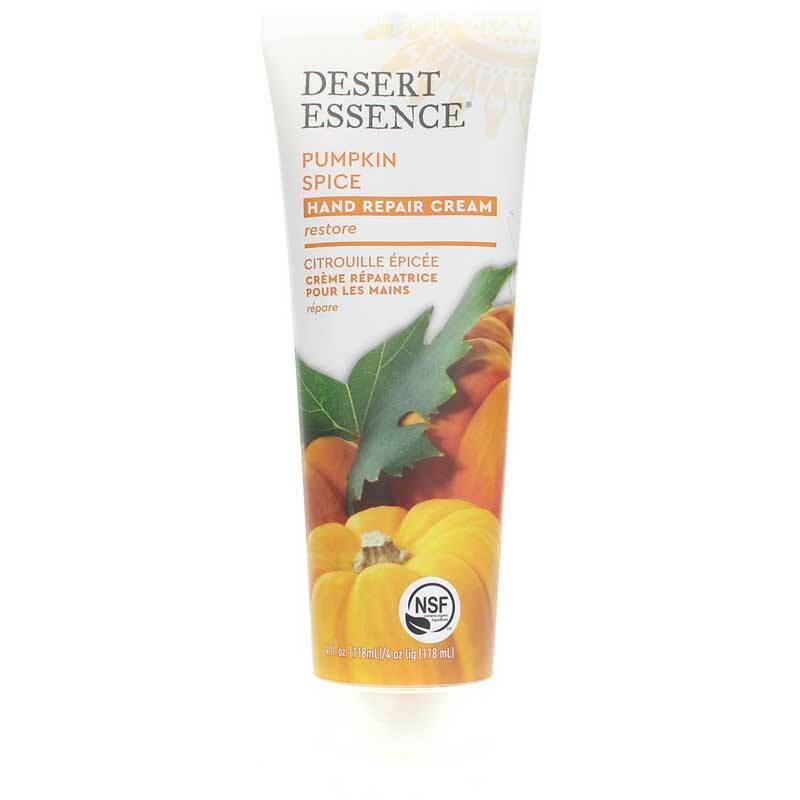 Pumpkin Hand Repair Cream by Desert Essence Organics contains a high concentration of organic oils and extracts to provide intense moisture to the skin and aid in the repair process. High concentration of organic oils and extracts to provide intense moisture to the skin and aid in the repair process. Organic Jojoba Oil, similar in structure to our skins oils, deeply penetrates the skin, leaving it soft and supple. 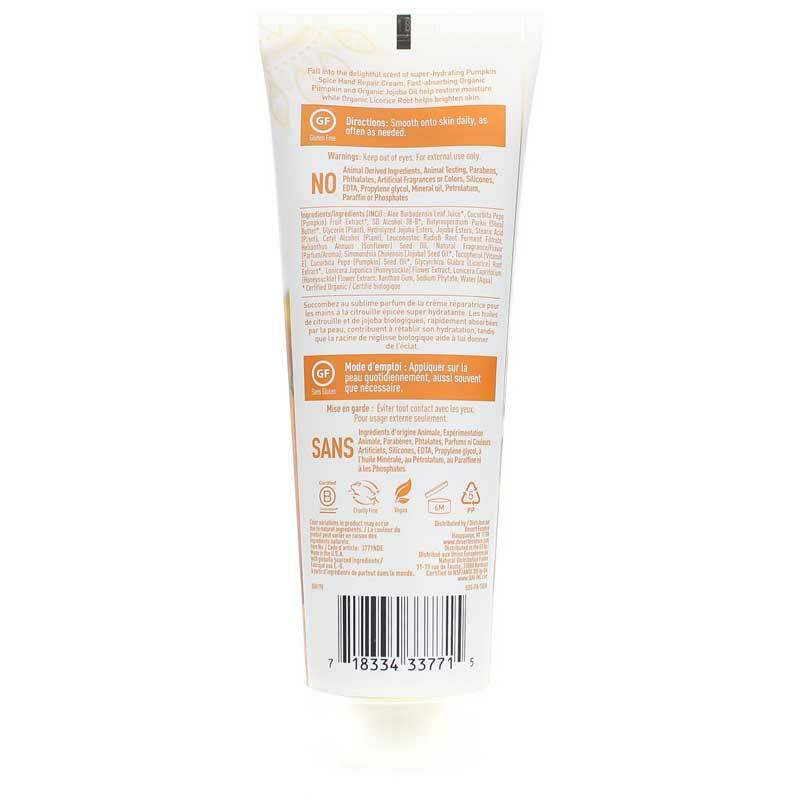 Organic Pumpkin Seed Oil, with high levels of Vitamins A, C, E, and K, plus zinc, helps combat daily environmental stress on the hands. A proprietary blend of Organic Pumpkin Seed and Licorice Leaf Extracts helps to even skin tone and fade the appearance of age spots on the hands.